Allure magazine is calling out the most flattering haircuts for women in their 40s. They’re all pretty classic styles: What I’m not seeing is choppy bangs, pixie cuts or anything too poofy. This is a good reminder to keep it real: If you’re trying too hard or not trying at all, you’ll just look old and sad. 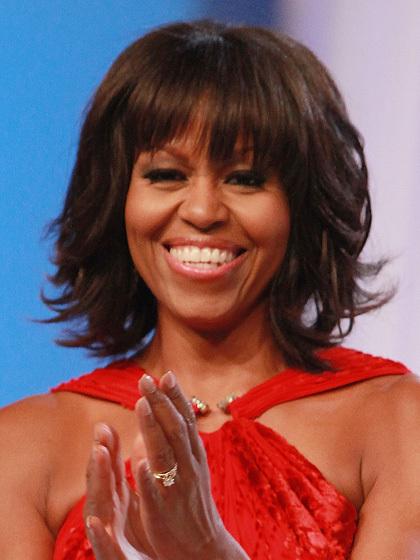 And who else is in love with Michelle Obama’s bangs? I think they deserve their own office.